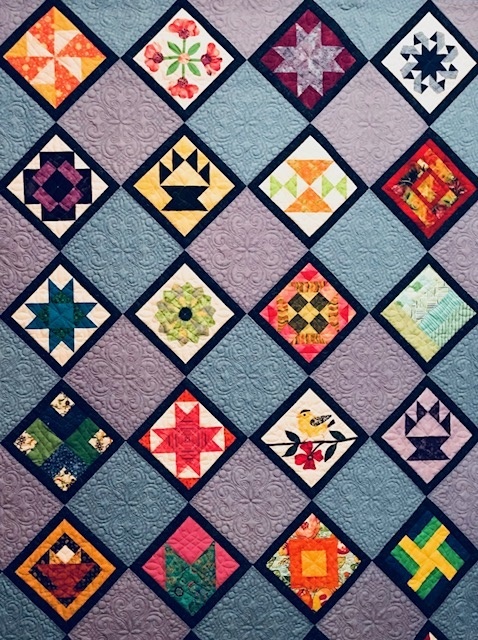 The Amesbury Days Art Expo on June 25th & 26th in Amesbury city hall where we are hanging our raffle quilt has become a mini quilt show just for MVQ members! We have an incredible opportunity to promote our guild and advertise our Newburyport Show “Autumn Splendor”. To make this easier due to the short notice I would like to hang all or most of the Presidents Challenge Quilts. Another person who hopes to one day also become a certified judge will judge them and award ribbons. This is a secure place and I’ll be with the quilts both days along with other members. If you will allow me to bring your quilt to Amesbury Days then you can just leave it with me after our meeting next week. If not, then you may pick your quilt up on Thursday night after the meeting. I will work out the logistics of how to get your quilts back to you as soon as possible and I have others who will help me. Thanks in advance for all your help and cooperation! Let’s have a mini pop up quilt show! This entry was posted in MVQ, Raffle Quilt, Travel Schedule and tagged Amesbury Days Art Expo, Raffle Quilt.